Today’s Tuesday Quick-Write is from guest author Hena Khan. Hena grew up in Maryland, with her nose in a book. She’s the author of the picture books GOLDEN DOMES AND SILVER LANTERNS and CRESCENT MOONS AND POINTED MINARETS as well as novels like AMINA’S VOICE and the new ZAYD SALEEM: CHASING THE DREAM chapter book series. I spend more time than I like to admit thinking about and sometimes agonizing over what I eat, to improve my health and at times to help me shed a few pounds. A recommended strategy to stay on top of your diet involves keeping a food journal and tracking what you eat all day. But like most other recommended strategies, I find that one to be incredibly tedious and usually abandon it after a couple of days. In POWER FORWARD, the first book in my new chapter book series, my protagonist Zayd is a 4th grader who’s small for his age but doesn’t let his size get in the way of his dreams. He is underweight and gets frequent stomachaches. Zayd’s mother asks him to keep a food journal to help figure out what might be causing them, and to help him potentially GAIN weight. She even labels the pages for him with DATE, WHAT I ATE, HOW I FEEL. But he finds it no less tedious. When Zayd does occasionally write in the food journal, he ends up editorializing his meals and the things he eats (e.g. “pretty good with barbeque sauce,” “not as good as beef, but edible”) and how they makes him feel (“like a basketball is dribbling on my insides,” “grateful”). He is very specific about quantities or flavors (“seven goldfish crackers,” “watermelon jolly rancher”) and adds extra details that probably won’t help mom very much but make the journal a lot more fun to read. Your Assignment: Think back on what you ate yesterday, and create a food journal for the day. But not any regular old, boring food journal! Instead, bring each of the meals to life with descriptions that would make the most over-the-top food critic wannabe Yelp reviewer jealous. That vanilla flavored non-dairy creamer in your coffee? Even it can have a starring role if you desire. Give each of the foods you consumed context and meaning. How did they make you feel about yourself and your purpose in life? Can you find any symbolism between what you ate and your mood? Can you write any amazing metaphors or similes? Your journal entries for the day can be an ode to the food you ate, or hate mail, or a combination of both. You could keep the food descriptions simple and add categories if you choose, like “WHAT I WISH I ATE INSTEAD” or “HOW THIS RATES COMPARED TO THE BEST MEAL I EVERY HAD” Let your imagination run wild. Don’t forget snacks. And feel free to fictionalize if it’s more fun. The pantry is the limit! I’d love to read your favorite lines or entries in the comments. Happy writing! 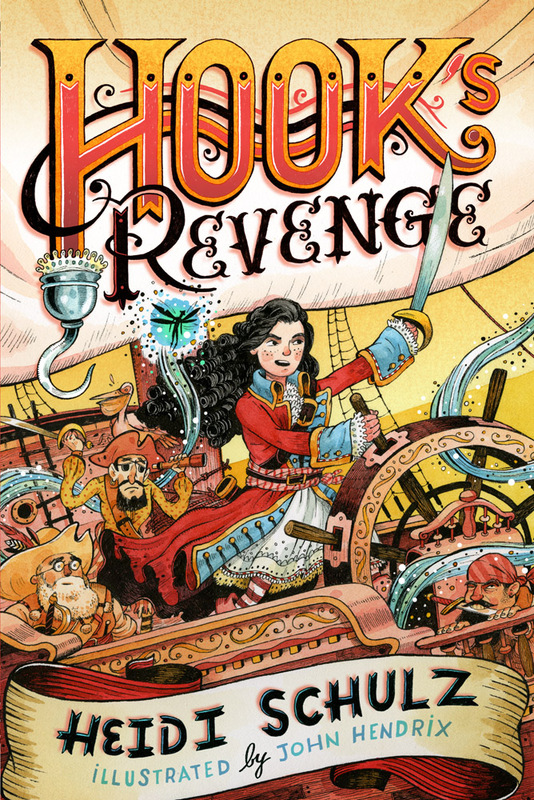 Our guest author for today’s Teachers Write quick-write is Heidi Schulz, the author of the New York Times Bestselling Hook’s Revenge, and a sequel,Hook’s Revenge: The Pirate Code, published by Disney-Hyperion. Bloomsbury Kids published her picture book debut,Giraffes Ruin Everything, in August 2016. Her short story for children, The Day the Puddles Stomped Back, can be found in Oregon Reads Aloud, an anthology to benefit S.M.A.R.T. (Start Making A Reader Today). Effective settings are important to grounding readers in a scene and helping them to feel truly immersed in a story, but they can convey character attributes. Take a look at the paragraph above. What kinds of things can you guess about the main character, and the relationships she has with those around her from that short selection? The way a writer chooses to describe a setting can offer great insight into character, and can be an excellent way to follow the old writing advice: Show. Don’t tell. Take, for example, this selection from Illusive by Emily Lloyd Jones. What information about the main character are you able to glean from this reading? Aside from conveying a positive association with space (“shining through the blackness” “prettier to think of them as stars”), there is also a sense of wistfulness conveyed in the description of Mars being so far away, and the thought of one day looking at the Earth from a similar perspective. We gain a lot of insight into this character from this one short description. One last example from my book Hook’s Revenge. “A miasma of overripe fish, gun smoke, and unwashed bodies hung in the briny air. Schooners, sloops, frigates, cutters, and many other varieties of ships in various conditions were moored offshore. Sailors swarmed over their surfaces like roaches on leftovers, inspecting rigging and performing repairs. Before her eyes, a brawl broke out on the deck of a twenty-gunner. The air was filled with sounds of the roaring sea, screaming gulls, shouted curses, breaking glass, and breaking bones. Here, I’ve used words and phrases with a typically negative connotation (“swarmed,” “roaches,” “screaming,” “breaking bones”), leading the reader to expect the character to feel negatively, but then I reverse those expectations for comedic effect. Try playing around with this technique in your own work. Choose a setting. Make a list, using all your senses, of that place’s attributes. Try to use neutral words/phrases. Then, using that list as a guide, make two more lists, one recasting those neutral descriptions in a positive light; the other, in a negative. Feel free to consult a thesaurus if it helps. I have created a chart, pictured below, using the example of an old barn. Now try writing about this place, first from the point of view (either first person or close third) of a character that has a positive association with that place. Then reverse it and write the negative. You do not need to use every item on your list, but try to include multiple senses. See my examples below. A sudden cloudburst was all the urging Leah needed to find refuge in the old barn. Inside, it was warm and cozy. Billowy cobwebs draped the beams above, softened all the barn’s hard edges. In the sweet-smelling hay underfoot, Leah heard the bustle of small animals going about their business, while overhead, flies buzzed lazily, caring little for the storm outside. From the shadows, a tall horse, soft and brown, moved slowly toward her and Leah quickly pulled the left-over apple slices from her lunch bag. The mare gently took each piece as offered, her velvety muzzle and warm breath tickling Leah’s palm. Leah hoped it rained all afternoon. A sudden cloudburst forced Leah into the old barn. Inside, it was damp and smelled of rot. Spiderwebs hung everywhere, concealing fat spiders that Leah felt certain could drop into her hair at any moment. In the limp, musty hay underfoot, Leah heard the scuttling of rodents and she took a small step back toward the door. From the shadows, a monstrous horse approached. Hands shaking, Leah pulled the left-over apple slices from her lunch bag and tossed them on the ground, hoping to either distract or appease the animal, then ran for the door. She’d rather take her chances in the storm. Of course, negative and positive associations are among the least complex emotions you can convey. Take a look at your setting again and see if you can describe it in such a way that conveys loneliness, anxiety, contentment, pride, relief, or some other feeling—perhaps something from a character you are currently working on? Post that description in the comments below. 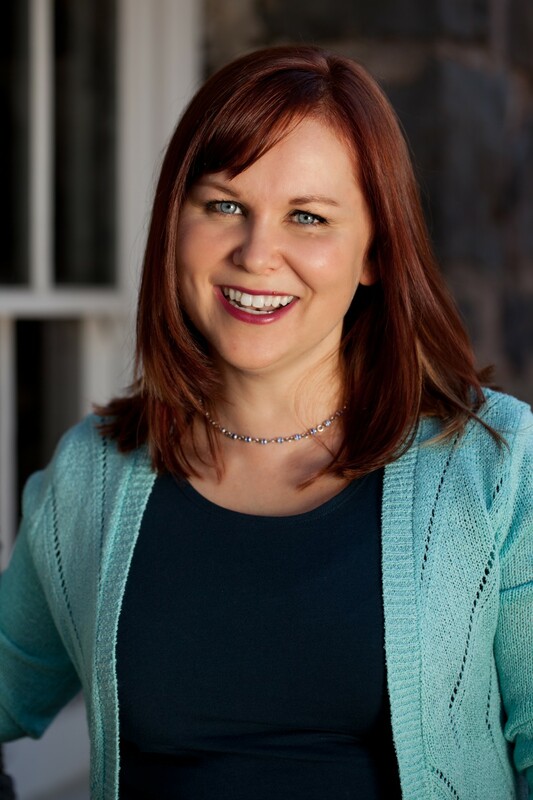 It’s time for our Teachers Write Tuesday Quick-Write, and today’s guest author is Debbi Michiko Florence! 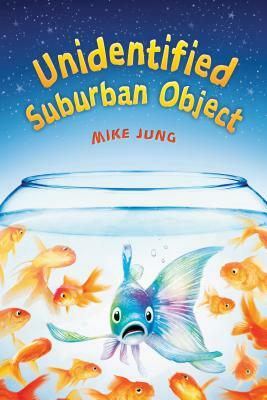 Debbi is the author of the Jasmine Toguchi chapter book series, about a Japanese American girl. Book 4 in the series, Jasmine Toguchi, Flamingo Keeper (a Junior Library Guild selection) just came out this month. Before Debbi started writing as a career, she worked at a pet store, volunteered as a raptor rehabilitator, interned as a zookeeper’s aide, taught fifth grade, and was the Associate Curator of Education for the Detroit Zoo. A third generation Japanese American and a native Californian, she was born in San Francisco and raised in Los Angeles and has called many places home – Michigan, Mexico, Massachusetts, New York, and China. Today, she lives in Connecticut with her husband, a rescue dog named Kiku, a bunny named Aki, and two ducks named Darcy and Lizzy. My idea for Jasmine Toguchi Mochi Queen (and subsequently for the rest of the series) sprouted from my memories of family traditions, specifically Japanese traditions related to holidays, such as making mochi for New Year’s and setting up the doll display for Girl’s Day. Using tradition as a jumping off point can help you find your way into a story or help develop a character. Let’s give it a try! Your Assignment: Set a timer for five minutes. Make a list of family traditions or activities that you remember from your childhood and ones that you do with your family today. These do not have to relate to culture or holidays. When my daughter was young, every last day of summer we had a Mommy and Caitlin Day where we planned fun activities for just the two of us. Museum visits, a carousel ride, treats from the ice cream truck, a hike; we crammed as much fun into one day as possible. And as sad as it was to bid farewell to summer, we both looked forward to Mommy and Catlin Day. Now that you have a long list, go through it and pick one to expand upon. Set your timer for ten minutes and write as many details about this tradition as you can recall. No detail is too small! Optional if you have a character you’re developing: Now set your timer again for ten minutes and write about a character experiencing this particular tradition. How do they feel about it? Create details specific to the character and their family/friends. I hope this gets you jump-started on a new story or helps you learn more about a character. Feel free to share in the comments below! Happy writing! I’m cheering you on! Happy Friday! Our guest author for today’s mini-lesson is Michelle Cusolito. Michelle spent her childhood mucking about in the fields, forests, and swamps around the farm where she grew up in southeastern Massachusetts. As an exchange student in high school, she temporarily traded rural living for city life in Cebu, Philippines. These early experiences set her on her current course exploring nature and culture like the locals. She spent 10 wonderful years as a grade 4 teacher. Now, when she’s not mucking around in the world, she’s usually in her office or local coffee shop weaving these experiences into stories for children. Her new book is FLYING DEEP: CLIMB INSIDE DEEP-SEA SUBMERSIBLE ALVIN. Like most authors, I have an ever-growing list of topics I might write about. But how do I decide which topic warrants a whole book? For me, the biggest factor is my interest level. (Tip: I have a “hidden board” called “Ideas” on Pinterest. I pin interesting stuff I find so I can come back to it later). Chemosynthesis, deep ocean, deep-sea vehicles, etc. library. (I also use the library’s search engine, but I’ve found it isn’t as robust as Amazon’s. book I can, even if it seems like it won’t be that useful. You never know. research, should I purchase it? (Note: many people tell me they have also searched on https://www.edelweiss.plus/ I haven’t done this, yet).  Is there a lack of books on this topic? Why might that be? (A lack of books doesn’t necessarily mean one is needed- there may not be a market for it). doesn’t necessarily mean I can’t write one).  If there are multiple books already out, what new angle might I bring to the topic. (For example,I consider what I was curious about that isn’t in the available books). Once I’ve done all of that, then I decide if I want to pursue the topic further. If I decide to proceed, I use the information I’ve gathered to guide my research. I look for a new angle to the story and the hidden gems that will bring my topic alive in a new or interesting way. Feel free to share your reflections for today in the comments! And a reminder: If you have a work-in-progress, you can also visit Friday Feedback to share a bit, get feedback, and give feedback to others, too.